Protecting the privacy of your employees and clients is a big responsibility—your business reputation is on the line. Without a secure and efficient document disposal strategy, you put your organization at legal and financial risk. All shredding takes place at on-site at your business location. 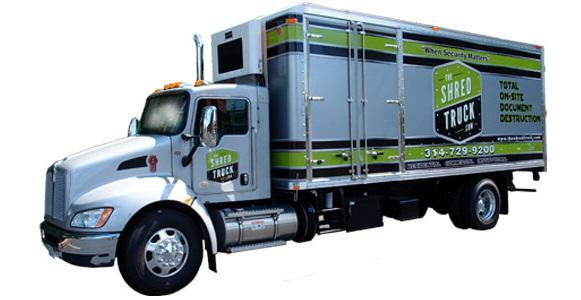 You never have to lift a finger; simply watch while your documents are destroyed by our mobile shredding truck in a matter of minutes. Start scheduled shredding with us today and we'll give you one month of free shredding! We take your privacy seriously. 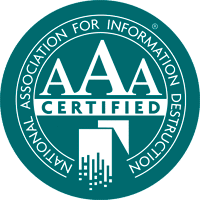 As a NAID AAA Certified shredding provider and member of the Mobile Shredding Association, our standards of excellence are the highest in the industry. Our employees go through annual background investigations and drug testing and receive extensive training in secure shredding policies and chain of custody procedures. Whether you choose to have your documents shredded by us on a regular schedule or on a one-time basis, we provide you with free lockable collection containers so your documents are always secure. Deposit your documents into a container where they stay safe and secure. One of our uniformed, background-checked and Shred Truck staff members collects the contents, shreds your information on-site and provides you with a Certificate of Destruction to prove your compliance with state and federal privacy protection laws. Our shredding service lets you focus on your core business! Call us at 314-729-9200 or complete the form on this page to get started with a secure shredding solution for your business! 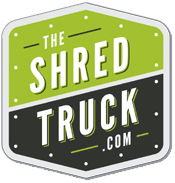 Need Shredding in St. Charles?